The rubber OD provides better static sealing than metal. 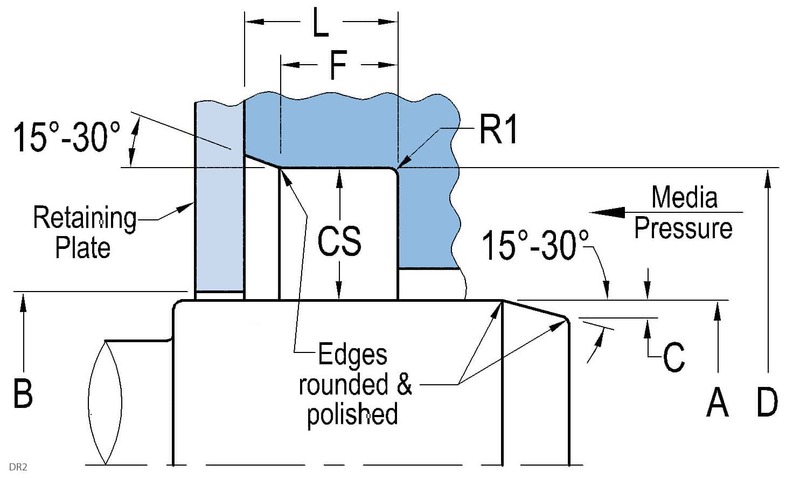 The thermoplastic or optional metal reinforced design ensures concentric fitment and increased corrosion resistance over traditional seals. 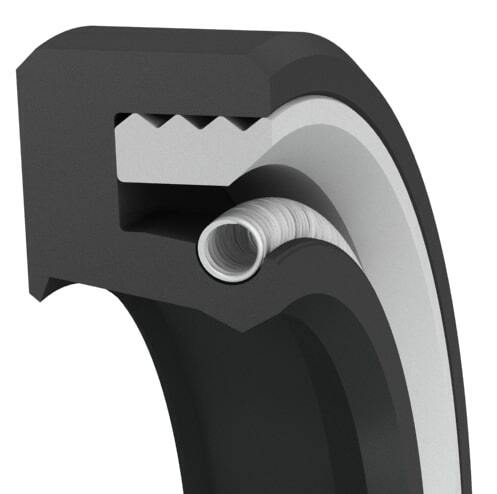 Tight tolerance reinforcing ring enables this seal to operate at higher operating pressure. Optimized seal lip design uses a garter spring to maintain a constant radial lip load, thus ensuring optimum sealability. The secondary lip serves as both protection against airside contaminants and as a lube retainer. Maximum service life can be achieved by applying a suitable lubricant between the two sealing lips. Also available in small quantities for repairs and seal replacements within 1 to 3 days.